Guerlain's trend for reissuing old fragrances under new names is well known, this year has already seen the 2008 Aqua Allegoria Figue-Iris released in the Parisiennes range under the name Promenade des Anglais, but the company's latest rebottling has left some feeling a little disappointed. In a similar way that Guet-Apens appeared five times with different names, Jasminora has been reissued for a third outing and again given a new name from the archives. Let's see how this fragrance has managed to reinvent itself yet again, and whether it really warrants the price increase from €80 to €550. 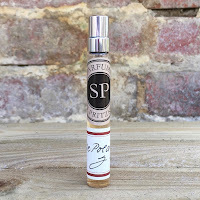 When Jasminora was released in 2011 it was described as a "tribute to jasmine's authentic simplicity" with an aroma which was "airier and less fiery". The fragrance was created by Thierry Wasser and its tag-line was, “the spirit of jasmine and a note of freesia”. It only survived for one season, before being replaced by Lys Soleia, and was seen as a great loss to the collection. 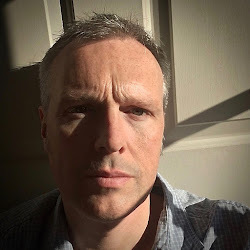 Why this one was discontinued while Flora Nymphea was reprieved was unknown, although in hindsight it provided a year out of the spotlight before it quietly reappeared. 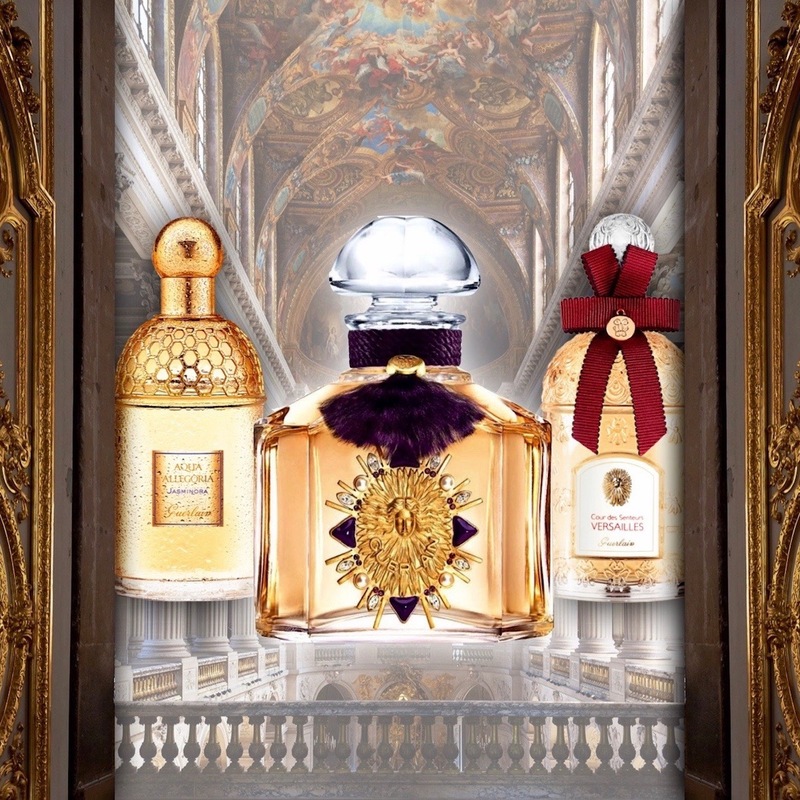 It's second outing came in 2013 when Guerlain opened its boutique in Versailles. 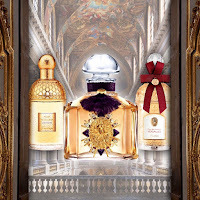 The store was given an exclusive fragrance called Cour des Senteurs Versailles. It apparently drew inspiration from Marie-Antoinette who "loved to stroll through her garden of the Petit Trianon", where her favourite flower just happened to be jasmine. It was the same Eau de Toilette as the Aqua Allegoria but was now housed in the 125ml white bee bottle, with a price rise to €210. 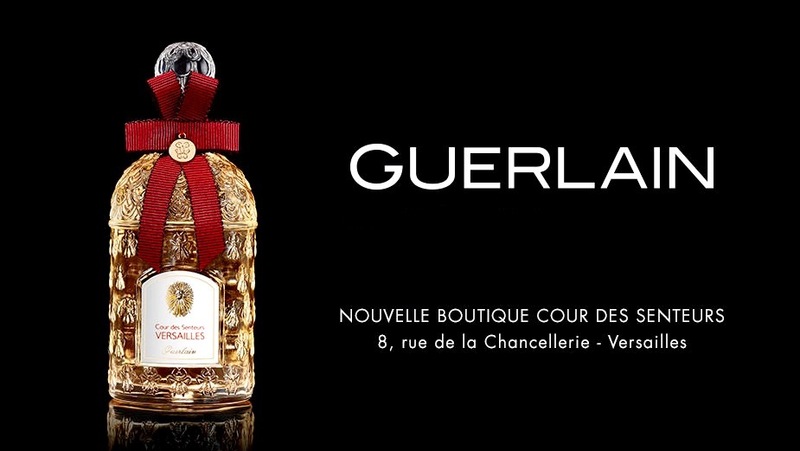 This week it was announced that the Guerlain Boutique in Versailles would close in March due to a low number of visitors. This raised the question of what would happen to the exclusive fragrance, as presumably there was still a quantity that was un-bottled, but it seems that this had already been thought of by Guerlain. A numbered limited edition of Le Bouquet de la Reine (The Queen's Bouquet) would be produced. It would come in the historical quadrophile bottle and be decorated in semiprecious stones. The fragrance once again would be Jasminora and it would be 125ml, but this time it would be sold upon application at €550. Interestingly Le Bouquet de la Reine is the name of a Guerlain perfume from 1840, although that is where the similarity ends. So, to the actual fragrance itself. It is a wonderfully fresh floral which opens with a huge burst of citrus, but through which you instantly start to pick up the Calabrian jasmine. The piercing beauty of the galbanum seems to link instantly with the notes of freesia and lily of the valley to surround the jasmine, and so keep in under control. A base of white musk and amber notes provides a perfect support and completes what many believe to be a perfect fragrance. The original Aqua Allegoria is widely available on the internet, at a more modest price than the reissues, but whichever edition you chose it is a must for any fan of Guerlain.